Pergo Outlast+ Marigold Oak brings a European influence to your home with this stylish golden oak. The orange undertones give a beautiful warmth to this wood look and put a spotlight on the deep natural cracks and accentuated knots. The multiple gloss levels offer character with just the right amount of sheen. This incredibly durable laminate floor will stand up to just about anything your household can dish out and continue to look new for a lifetime. With SurfaceDefense wear protection and the revolutionary new SpillProtect24 technology exclusively from Pergo that defends against household spills for up to 24 hours, your new floor will be worry-free. Pergo Outlast+. Insanely durable, always beautiful. 19.63 sq. ft. per case; 549.64 sq. ft. per pallet. 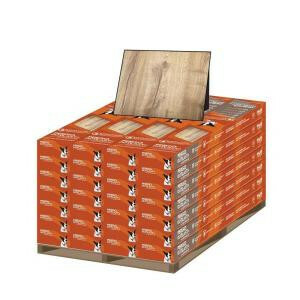 Case quantity: 8 planks; pallet quantity: 28 cases. Case weight: 36.7 lb. Buy online Pergo Outlast+ Marigold Oak 10 mm Thick x 7-1/2 in. Wide x 47-1/4 in. Length Laminate Flooring (549.64 sq. ft. / pallet) LF000854P, leave review and share Your friends.